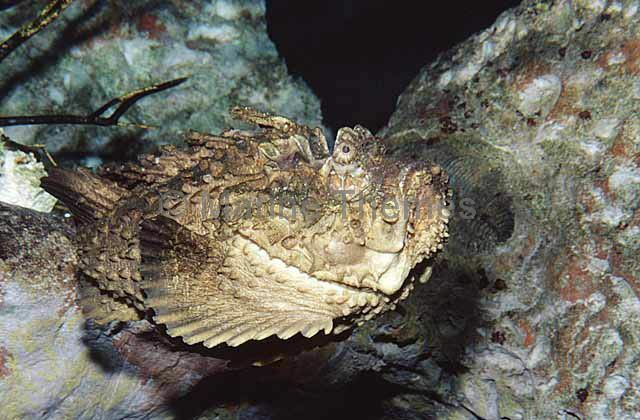 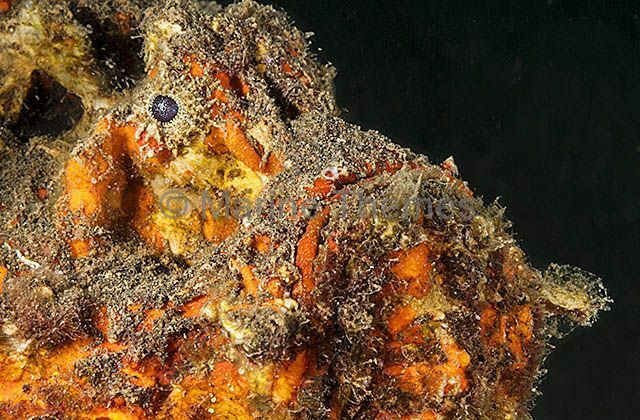 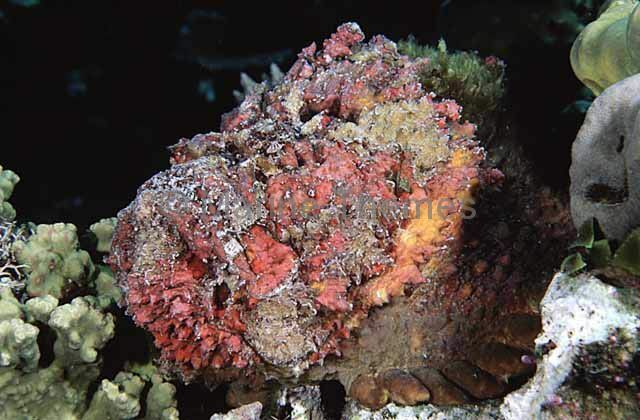 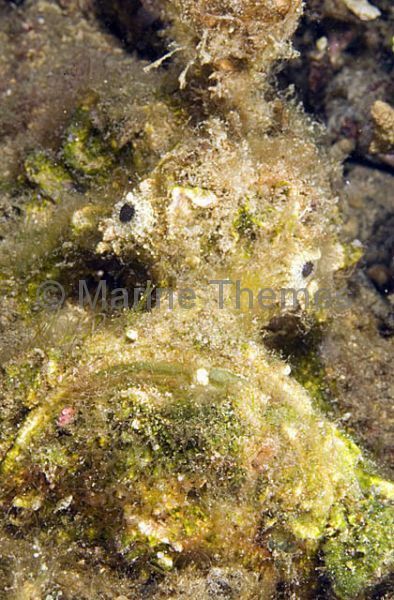 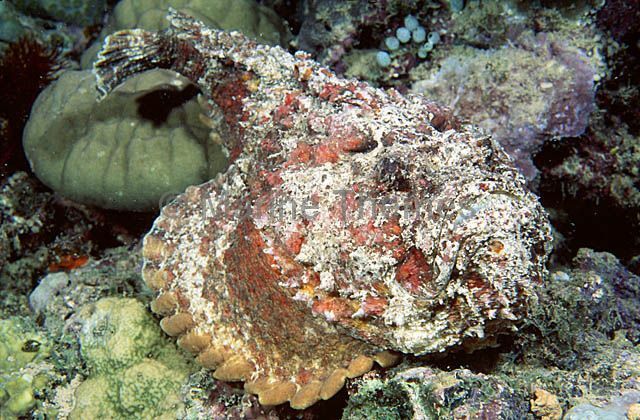 Reef Stonefish (Synanceia verrucosa) Poisonous spines inflict extreme agony. 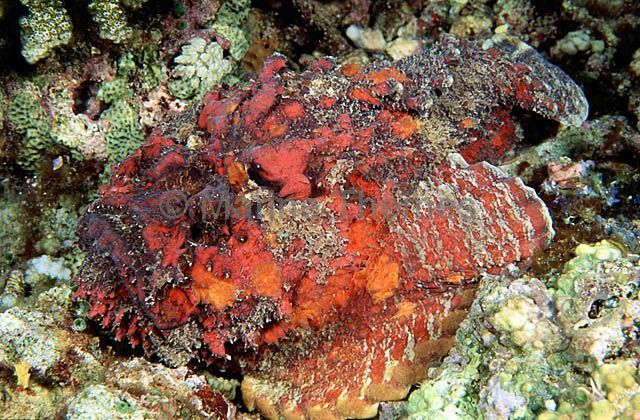 Camouflage. 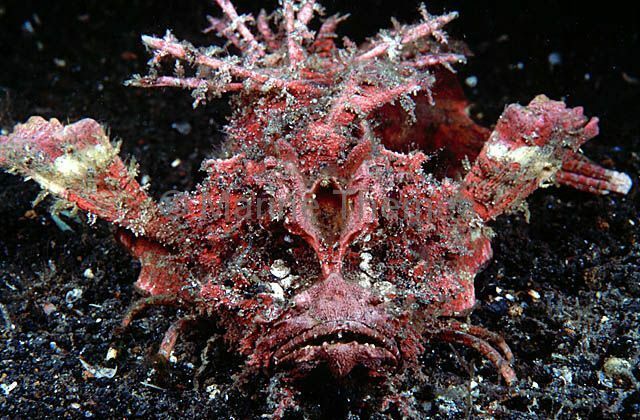 Ambush feeder. 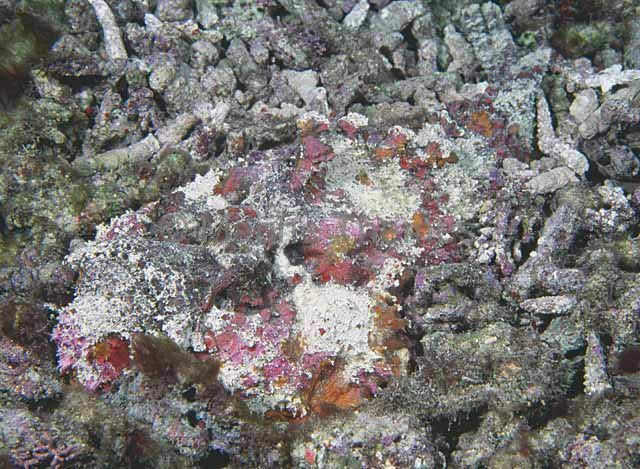 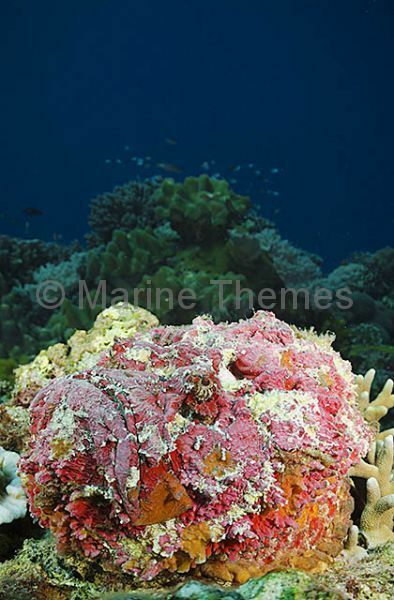 Reef Stonefish (Synanceia verrucosa) buried in coral rubble. 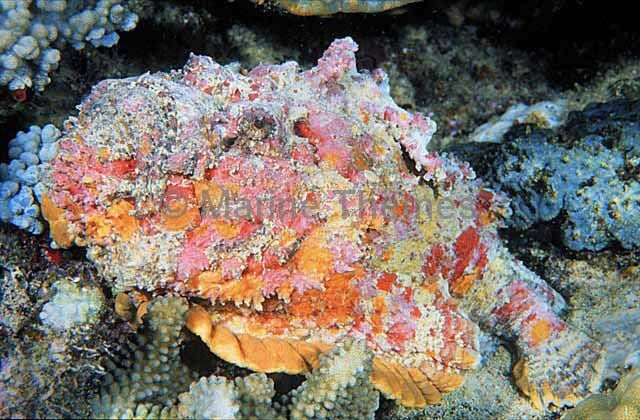 Estuarine Stonefish (Synanceia horrida) Agonising sting from dorsal spines can be fatal. 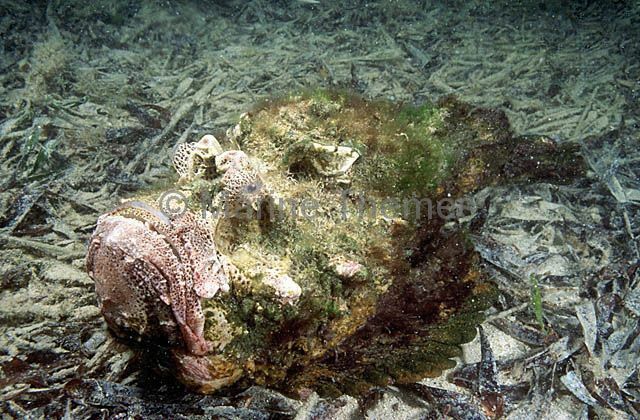 Estuarine Stonefish (Synanceia horrida) showing extended dorsal spines capable of injecting fatal poison. 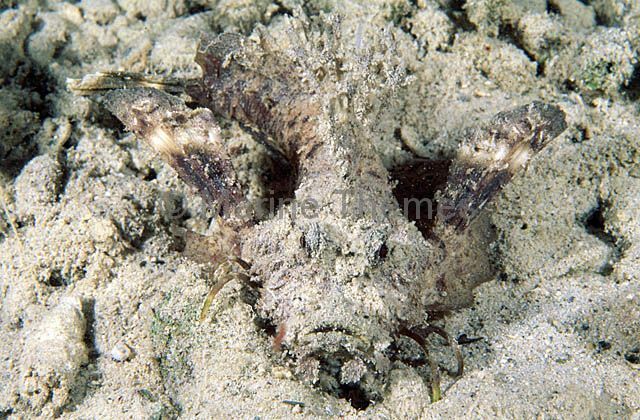 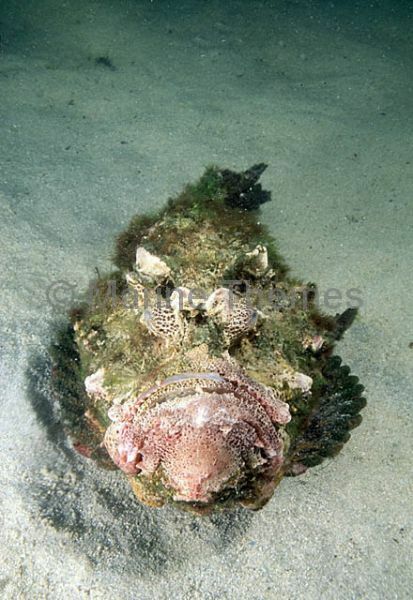 Esturine Stonefish (Synanceia horrida) Camouflaged ambush hunter buried in sand. 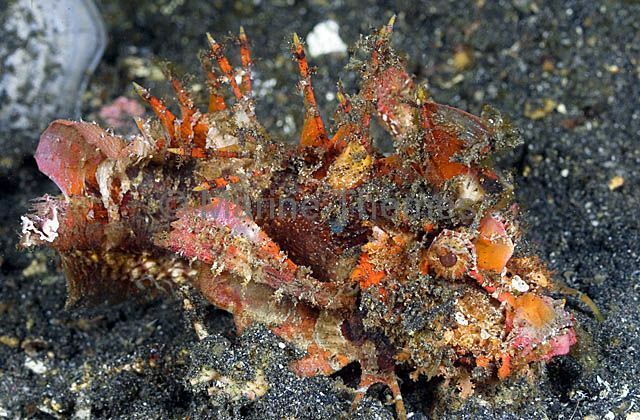 Dorsal spines inflict agonizing and potentially fatal wound. 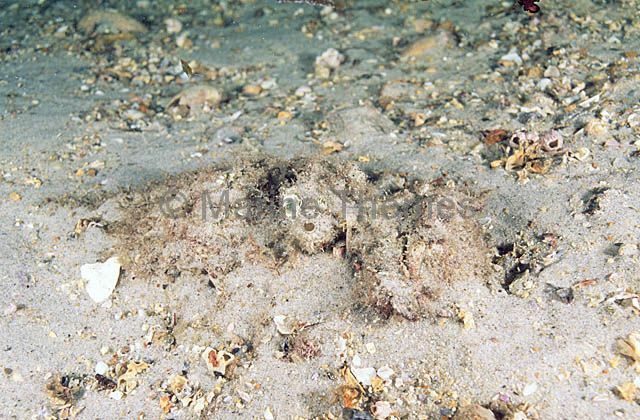 Caledonian Stinger or Inimicus (Inimicus caledonicus) Hides in sand to ambush prey. 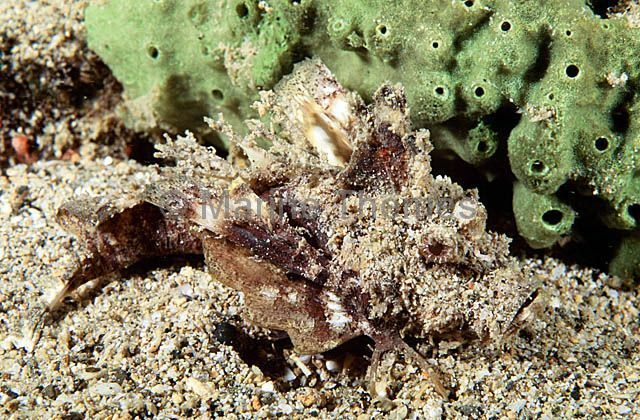 Spines have very painful sting. 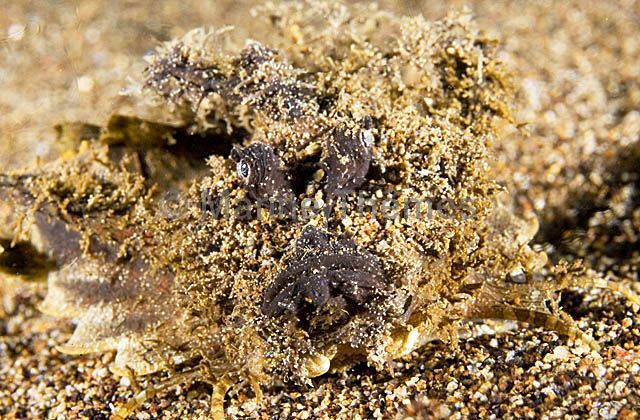 Caledonian Stinger (Inimicus caledonicus) Hides in sand to ambush prey. 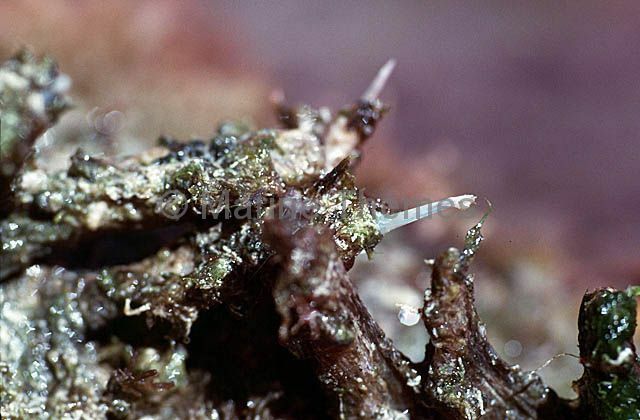 Highly venomous spines. 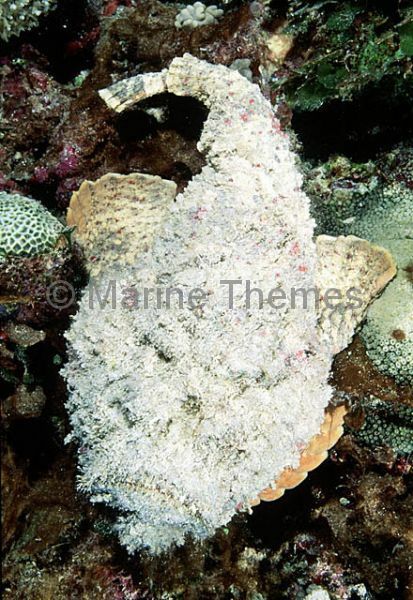 Devilfish (Inimicus didactylus) Brittle dorsal spines contain toxins that cause excruciating pain. 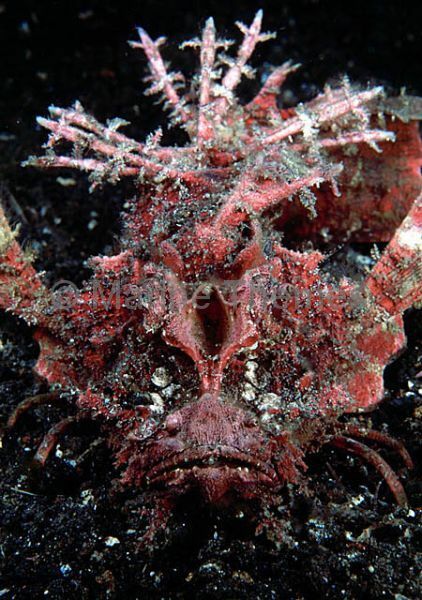 Devilfish (Inimicus didactylus) or Bearded Ghoul.